She graduated from the University of London in 1984 and then spent 2 years in Hospital Dentistry specifically Paediatric Dentistry and Oral Surgery. Following this, she spent 6 years at the University of California in San Francisco as a Resident in General Dentistry and then Associate Clinical Professor in Oral Medicine. She returned to the UK to complete her Masters degree at the University of Edinburgh in 1994. She worked for five years in industry as a research Dentist for Proctor and Gamble before moving into General Practice in 2000. 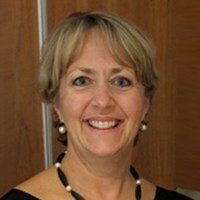 She has been an associate at West London Dental Centres since 2003. She enjoys General Dentistry specifically Restorative Dentistry and is especially sensitive to the needs of children and anxious patients.